ROBIN: Ludicrous. Absurd. No chance in Hell. Nolan, quite correctly, feels that Robin, as a concept, is very hard to pull off cinematically and is far simpler to do in the comics. And, besides, Gordon-Levitt is thirty years old!! Obviously, some fans see pictures of J-GL in 3rd Rock From The Sun circa 1996 and thought “Hey…!”. Mad. THE JOKER: Utterly doubtful. Nolan has been on record to say that, following that late Heath Ledger’s incendiary turn in The Dark Knight, the role would not be recast. And if for nothing else, Ledger would be a bloody hard act to follow. If the role was recast, JG-L would be a very strong replacement, but would it be worth it just to have an extended cameo for the sake of continuity? It would be a waste of such a powerful character. THE RIDDLER: Possible, but, again, the immediate danger is overloading TDKR with villains – the now-familiar danger zone of the third films in superhero franchises (see X-Men: The Last Stand, Spider-Man 3, Batman Forever) and The Riddler, being one of the most high-profile Bat-Villains, would be inevitably under-served if you have the iconic Catwoman and the ripe-for-revision Bane already there. HUGO STRANGE: There’s a lot of fans – myself included – very keen for this great villain be utilised by Nolan, but I just don’t see J-GL as Strange, primarily on a physical level. If you look at Matt Wagner’s Batman & The Monster Men series,featuring Strange, he was diminutive, but still very buff. 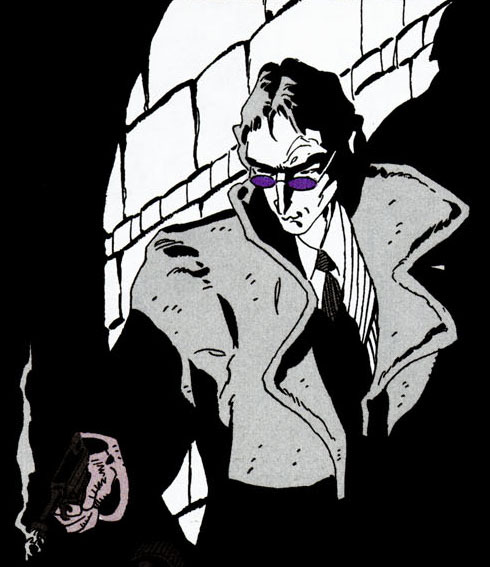 In Doug Monech’s Prey, Strange was essentially the same body-type as Bruce Wayne. It’s possible, but I very much doubt it. 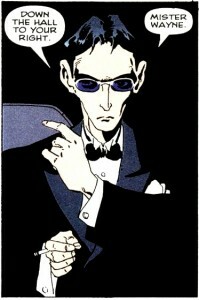 There is one recent Batman villain that Gordon-Levitt does look a lot like, though: Alberto Falcone. Not convinced? Okay: Alberto Falcone has a potentially very potent contribution to the plot of The Dark Knight Rises, insofar as he is actually ‘mi famiglia’ with one Selina Kyle, a.k.a Catwoman. In The Long Halloween, and more explicitly in the “midquel” Catwoman: When In Rome (2005), which is set between the events of TLH and its tacit sequel Dark Victory (2001), it is very heavily implied that Kyle is the illegitimate daughter of Carmine Falcone, giving her an underlying motive for her continued attacks against his crime empire, which inevitably brings her alter-ego into conflict with Batman. If, say, the Catwoman of TDKR employs similar attacks against organised crime, then the revenge theme could be reflected in the younger Falcone, given that Batman was essentially responsible for the downfall of his father. 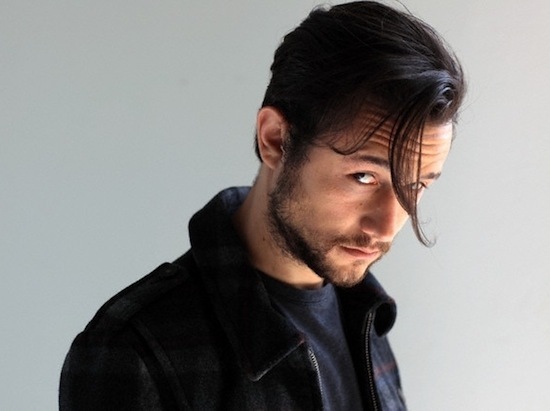 Now, I know I am setting myself up for a fall here – see my earlier confidence about Tom Hardy as Hugo Strange – but, despite this theory being complete guesswork (If educated guesswork) I maintain that this theory makes more narrative sense than Gordon-Levitt being in a flashy and potentially plot-unbalancing villain role. To my mind, Falcone, if he were involved in TDKR, would be a strong mid-level support role – much like the one Gordon-Levitt effectively plied in Inception– providing Nolan’s Batman trilogy with a nicely overarcing plot device that complements the crime drama tone of TDK as well as potentially contributing a further infusion of Nolan’s favoured psychological themes (in The Long Halloween, Loeb crafts the thematic distinction of Alberto and Bruce Wayne being the sons of formidable fathers who go to extreme lengths efforts to “honour” them…). Damn. I’m going to be wrong again, aren’t I… ? You shouldn’t have kept that last part in parenthesis – the thematic aspect is perhaps the most convincing argument in the entire post! And you’re not wrong either, I think it’s very possible for Alberto to make an appearance, more than Black Mask anyway. What makes Alberto different from the other mob-bosses in the series is that he isn’t purely from the mob caste, but is rather a crossbreed and borders over to the freaks. It’s fitting also, that DARK VICTORY (a book that both dir. Chris Nolan and Batman himself, Christian Bale, have gone on record to say is among their most favorite OGNs) ends with a note about the Falcone Crime Family ending with a broken man (with a son of Falcone burning down the family house, very much like the public suspected Bruce Wayne to have done in BB). It’s interesting because if Chris Nolan decides to go along with that line, and portray Selina Kyle as that illegitimate daughter of Falcone, we’ll have Gotham’s once great mob succumbing into a generation of freaks. It proves my personal theory that the ‘freaks’ are not of a different breed, but rather merely an evolved face of criminals, making Batman’s job much more precise – his existence hasn’t prompted the creation of his rogue’s gallery because criminals will always exist. Yes, the criminal has grown ‘complicated’ but it’s still a criminal. And the Batman will still be there to stop it. That would be a way to proceed from the ‘Batman inadvertently creates his own enemies’ (which itself is a brilliant theme, I mean even from a meta-fictional standpoint, we know that the villains in the comics were created because we had a superhero book about Batman). There is, however, a subject of concern that Carmine Falcone was given the same role of a ‘freak’ even in Begins, when he is shown to be committed into Arkham. It’s subtle, but I believe that’s a nod to Alberto’s incarceration in Arkham from the book. But that’s merely an element of the plot, not an element of the character’s themes. Here’s hoping that if JG-L does get a role in TDKR, it’s Alberto’s, opposite Anne Hatahway’s Catwoman. Or he could be Azrael, I mean, it is Bane we’re dealing with. A relationship between Alberto Falcone and Bane as a mob muscle-for-hire would have echoes of the Levitt-Hardy relationship in Inception as well, which was electric. Congratulations – you were right!